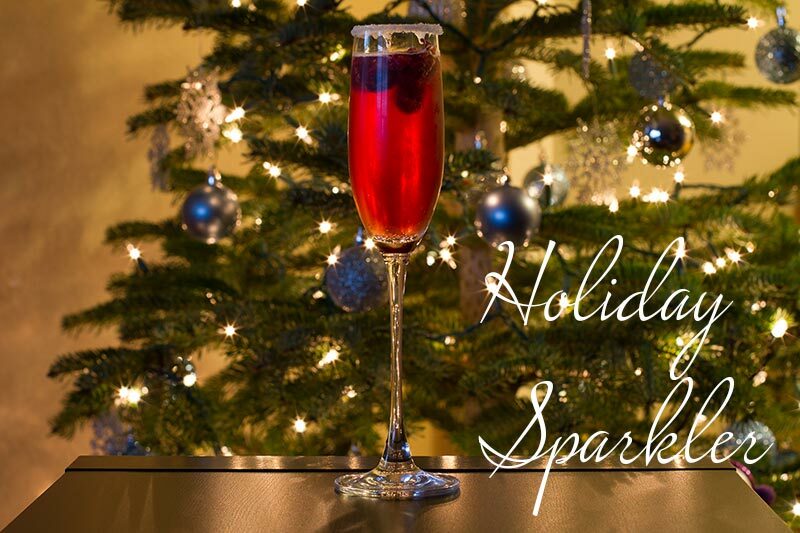 Home » Introducing… The Holiday Sparkler! Welcome to the holiday season! I can’t believe it is already the second week in December…where has the time gone??? I am sure many of you are hustling and bustling to get your Christmas shopping done, decorations up, and party planning complete before the big day. I have been a little overwhelmed this season, attempting to provide a stupendous holiday for our daughter while also trying to prepare for the arrival our son who is due in January. So as I sit here with my feet elevated to reduce the swelling in my very pregnant feet, I decided it was time to share one of my all time favorite holiday drinks. I call it the Holiday Sparkler!!! Since I am pregnant this holiday season and cannot have alcohol, I have concocted a non-alcoholic version as well, that I’ve decided to call the Baby Sparkler (very fitting, huh?). If you can’t or don’t drink alcohol or want to have a fun drink for the kiddos this Christmas, it’s just as fun and delicious! 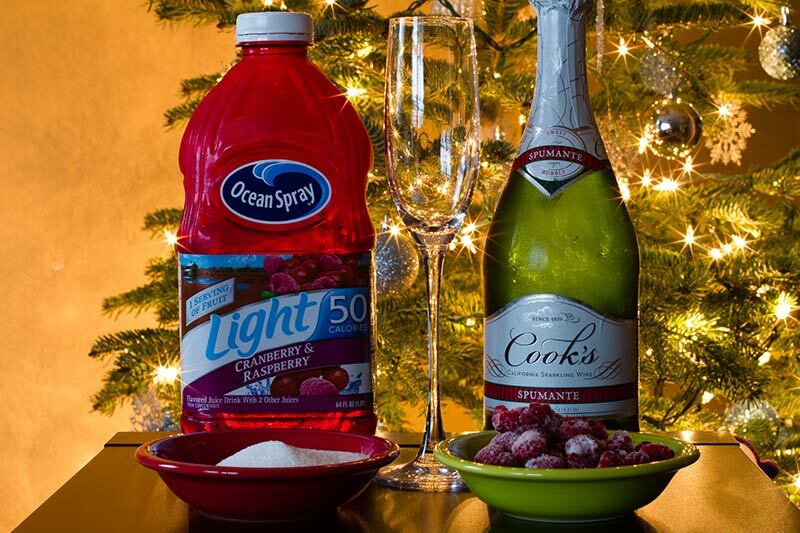 Pour equal parts champagne and cranraspberry juice ~ depending on the size of your drink and how large of a drink you need after fighting the crowds this holiday season. Any champagne will work, though if you would prefer a dryer taste, then I would use a Brut and if you would like a sweeter taste I would go with a Spumante or something along those lines. The brand of cranraspberry juice doesn’t matter, whichever is cheapest…however, I tend to use diet so the drink isn’t too sweet. 3-5 raspberries plopped in the drink…they are delicious to eat once your drink is gone. Due to the time of year and wanting help chilling the drink, I went with frozen raspberries. Pour equal parts Sierra Mist (diet or regular) and cranraspberry juice. The brand of cranraspberry juice doesn’t matter, whichever is cheapest…again, we use diet to help make the drink less sweet. I hope everyone enjoys the Holiday Sparkler and the Baby Sparkler! Please feel free to leave a comment with your thoughts or to share a picture of your drink or if you changed up the recipe and wanted to share it. I would love to hear from you!